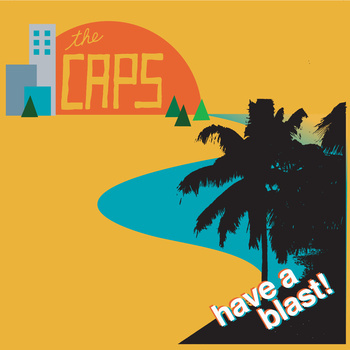 I recently was given a complimentary copy of the new album “Have a Blast”, by Portland Oregon’s “The Caps” and it’s had me smiling ever since the first listen. These guys have been around for just a few years now releasing their second album with a new line up save James Hall the bands original drummer who recently rejoined and singer/guitarist Chris Worth. On “Have a Blast” they are back with eleven of the catchiest pop songs you’re likely to hear in 2011. Like a three way battle between Belle & Sebastian, Superchunk and The Beach Boys dashed with slightly off humor reminiscent of They Might Be Giants, The Caps manage to bring the rock while still maintaining a soft side you could be sipping champagne to while reading back issues of Mad Magazine.